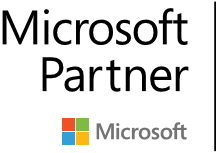 As a leading Cloud & Analytics partner for Microsoft, CloudMoyo brings together powerful business intelligence (BI) capabilities using the Azure Data Platform to transform your complex data into business insights and modernize your data landscape. We help you achieve insight, innovation, and impact through big data, machine learning, predictive analytics and visual story-telling. 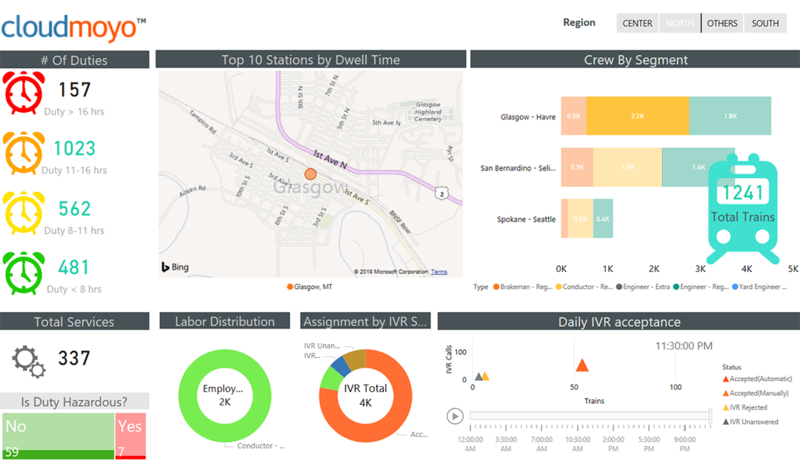 Using the Microsoft Azure Data Platform, CloudMoyo enabled a Class I railroad operator to manage its crews better. 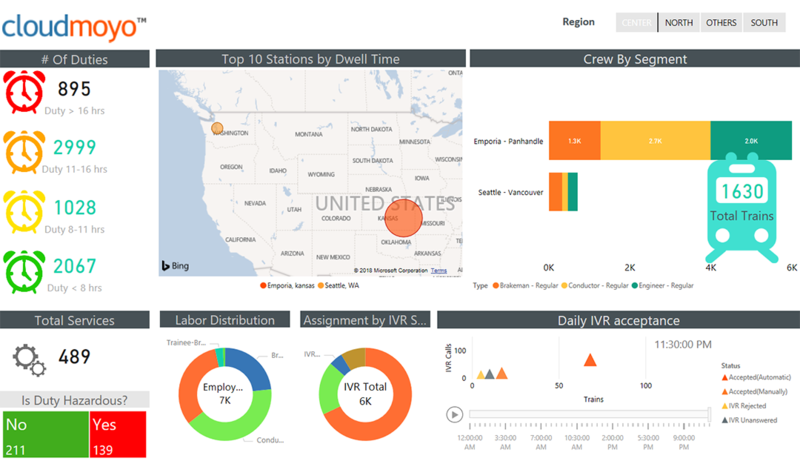 After successfully implementing CloudMoyo’s Rail Crew Management application, the Class I Railroad wanted to take the solution a notch higher by enabling real-time analytics to take executive decisions and improve rail crew performance. 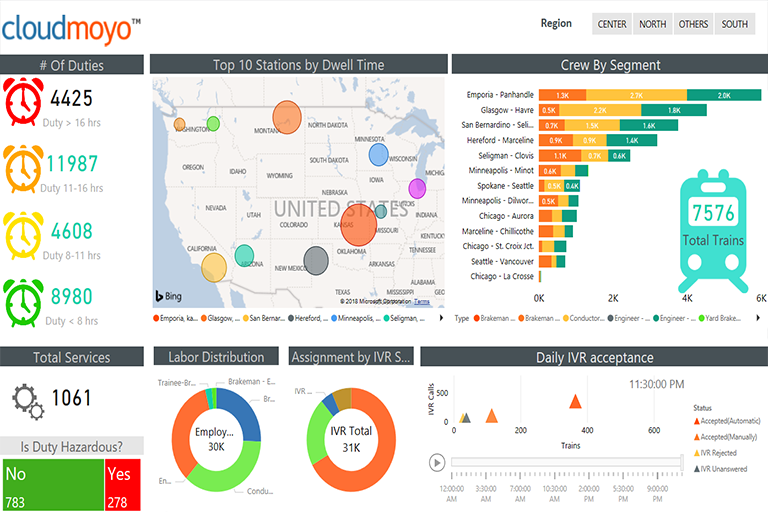 With its expertise in analytics using the Microsoft Azure Data Platform as well as core domain knowledge of delivering solutions to railroads, CloudMoyo developed a cloud-based data analytics system that analyzed a very high magnitude of data. 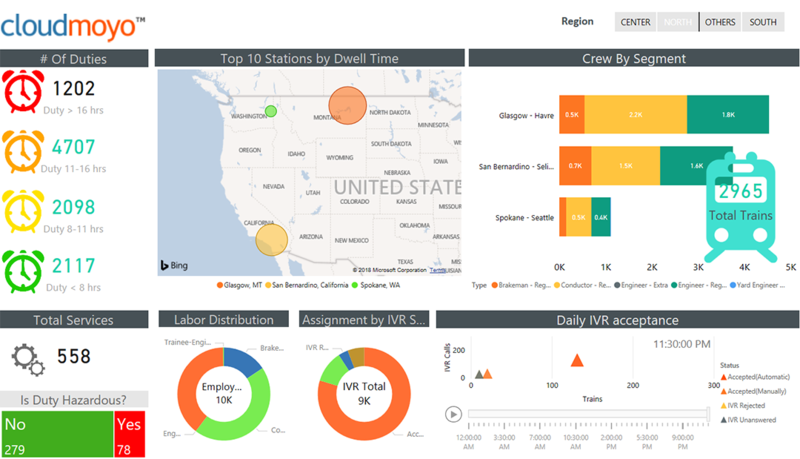 With the help of an enterprise Cloud BI architecture, complemented by visually appealing Power BI dashboards, the railway could now gain unprecedented insight into its business.